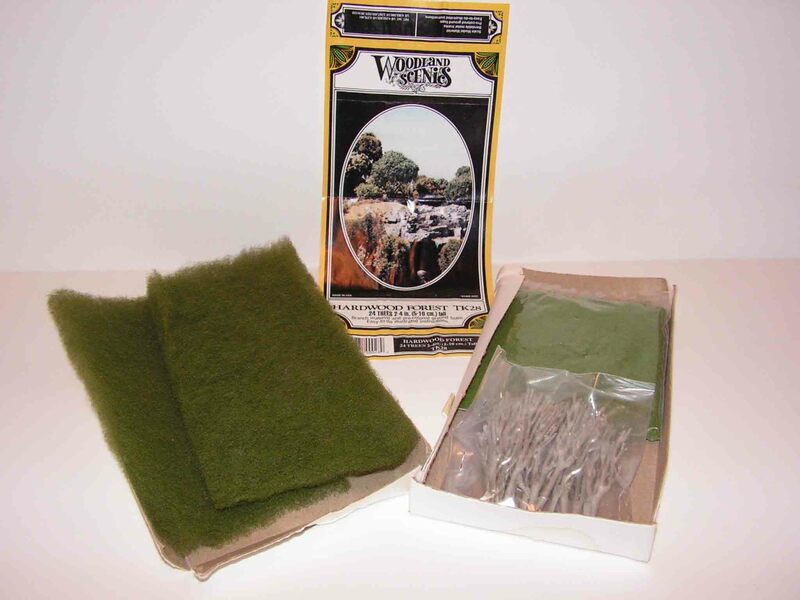 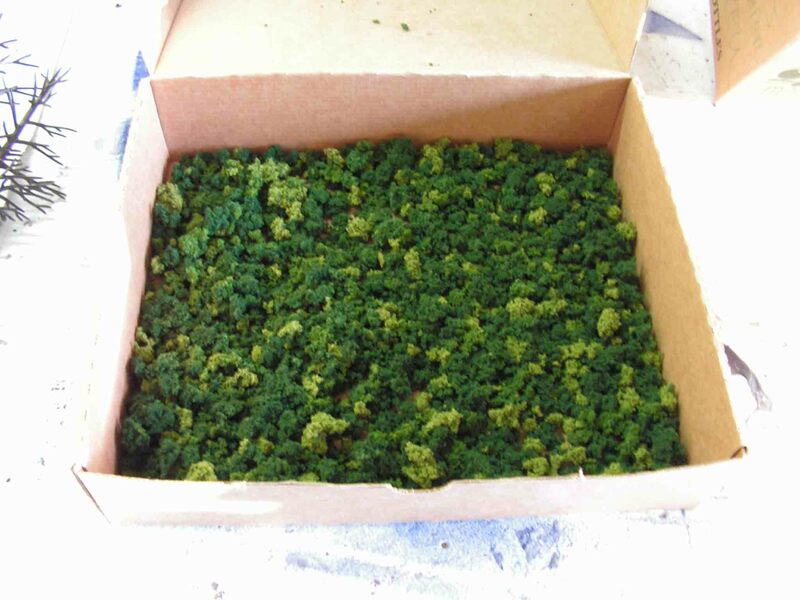 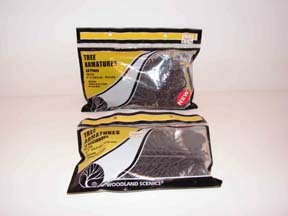 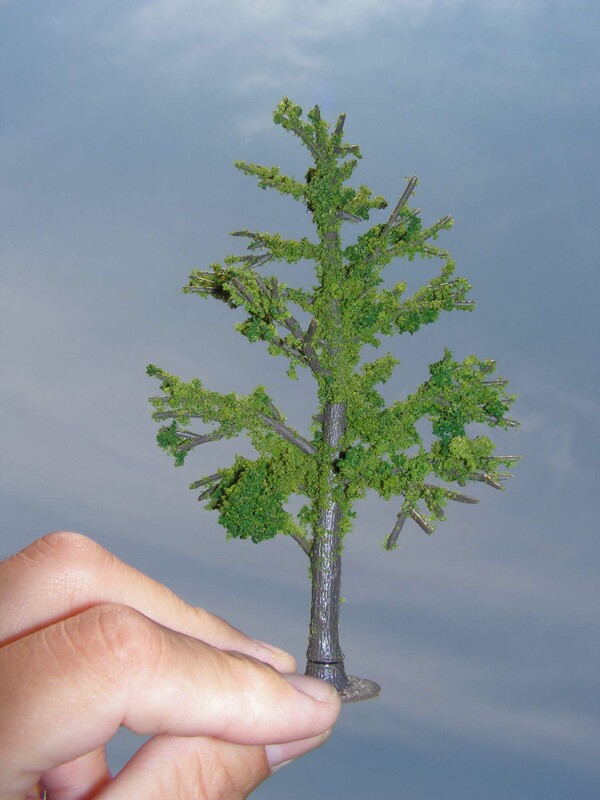 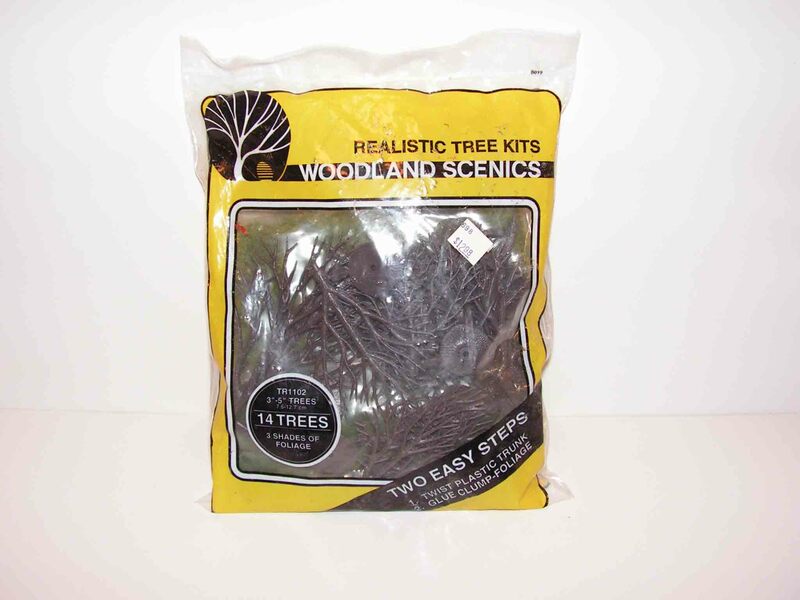 This article is about making trees with Woodland scenics tree kits. 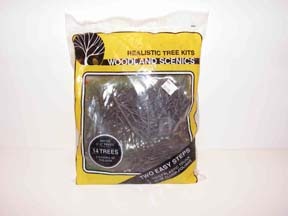 One of the older hardwood forest kits. 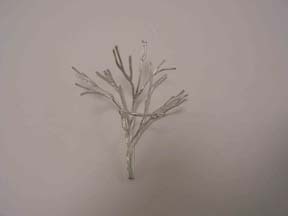 The trees are made out of soft metal castings. 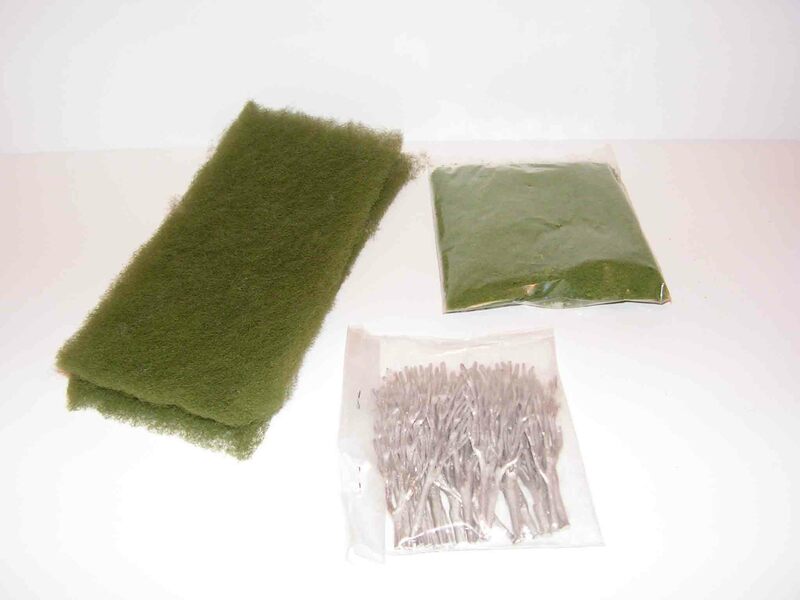 The kit is complete, but you do need glue and paint. 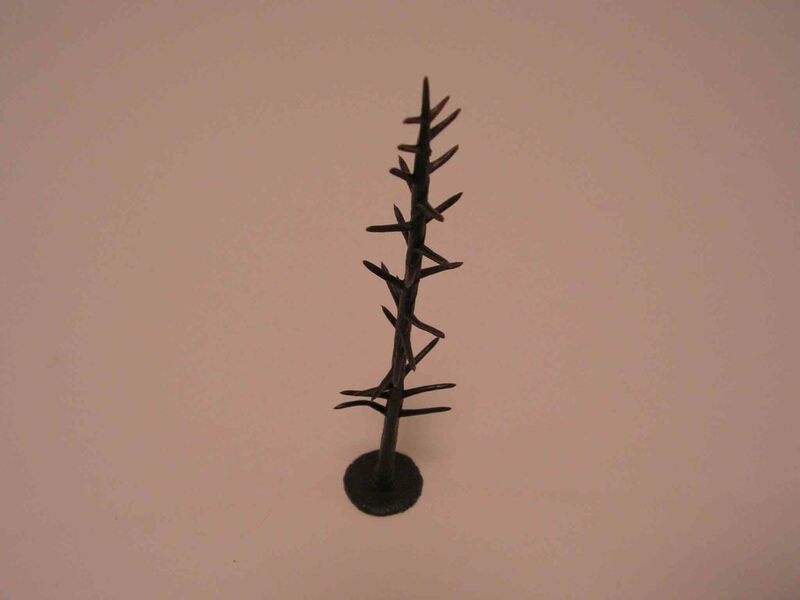 The trees in the newer kits are made out of plastic. This one is complete with all the materials needed, except glue. These bags come only with the armatures. Nice if you already have a variety off green foliage. 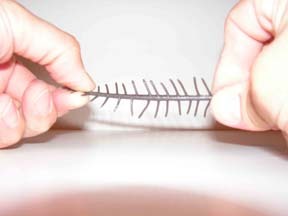 Lets start with the plastic armatures. 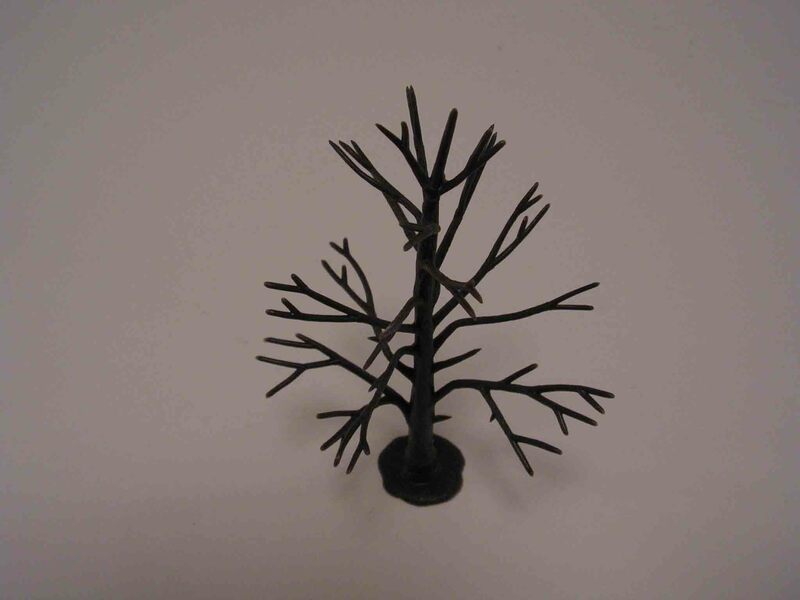 To get a three dimensional tree, we start by twisting the armature in shape. 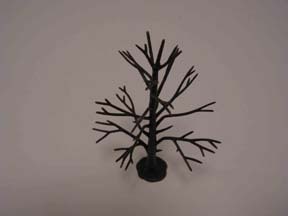 To create different shaped trees, use variation in twisting the armatures. 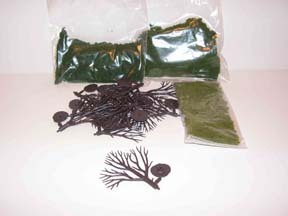 Here the Pine tree armature as it comes out of the bag. And here after it is twisted in shape. 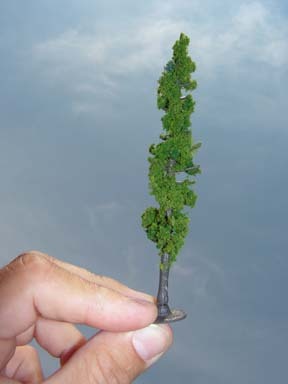 Now it looks a little more like a Pine tree. 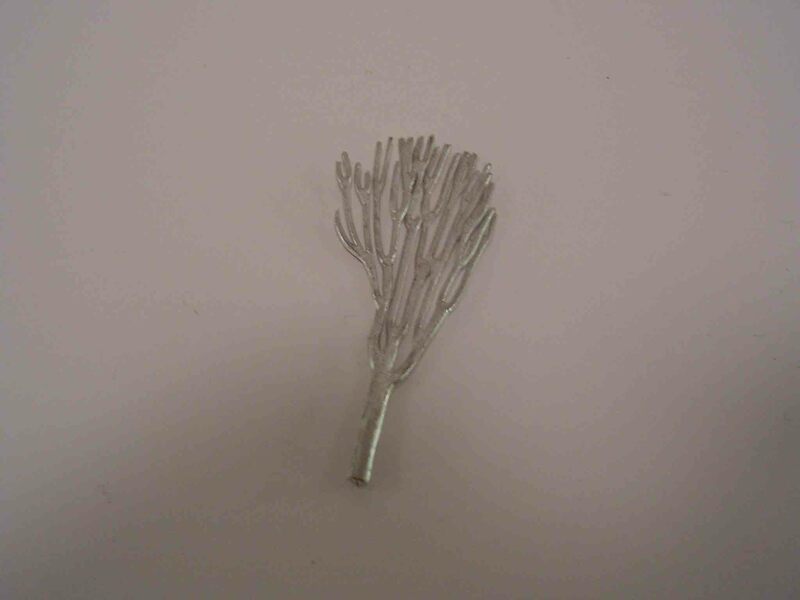 And after twisting. 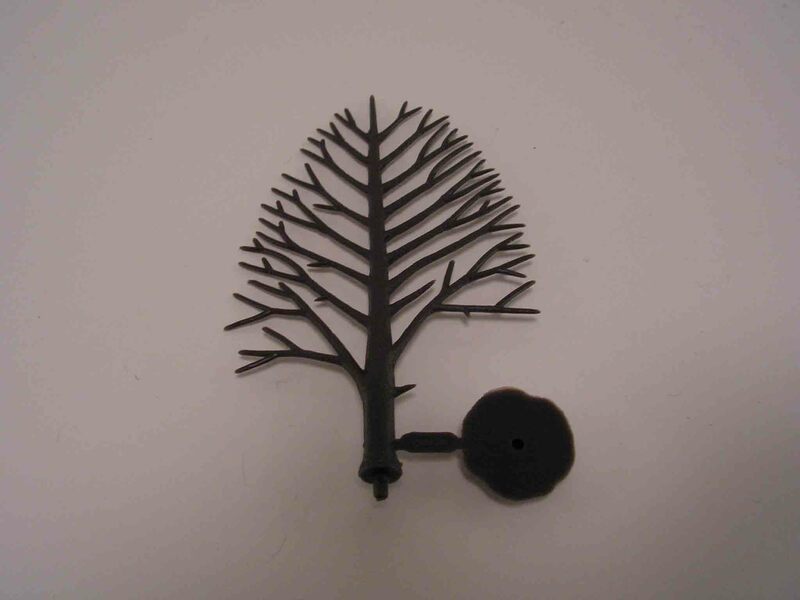 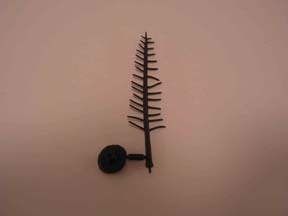 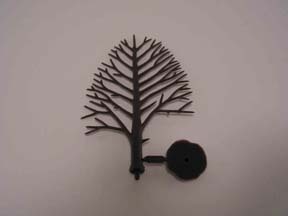 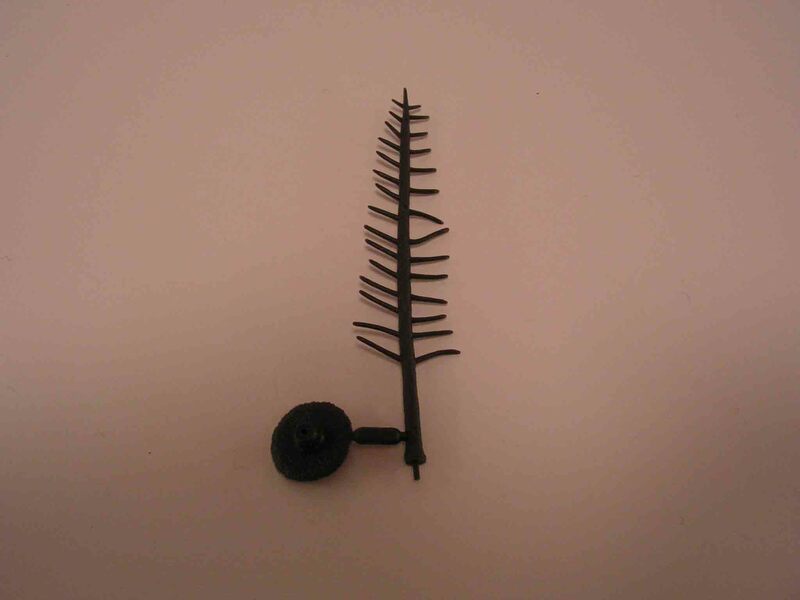 Since these are made from soft metal castings, the branches easily brake off. 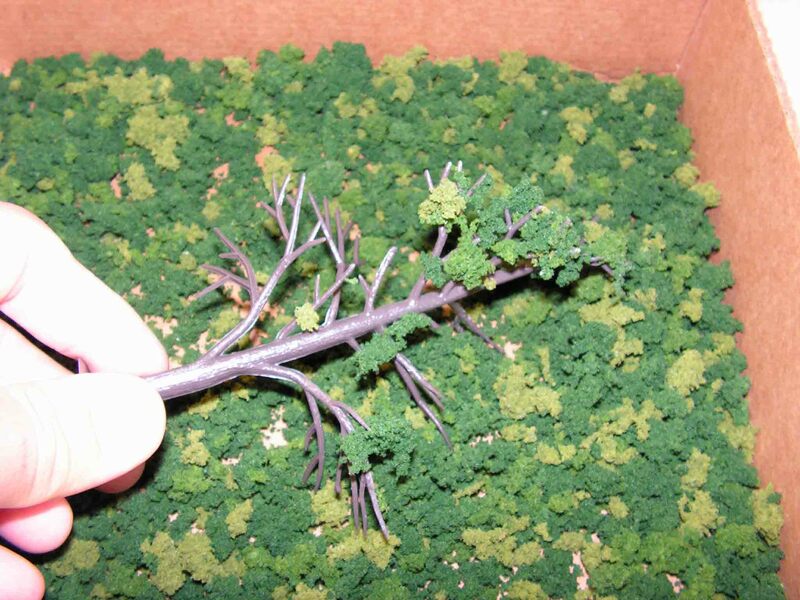 The foliage spread out in a box. 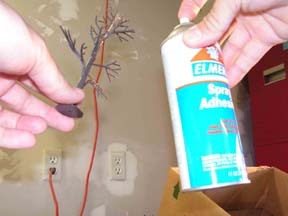 Spray the armature with sticky adhesive. 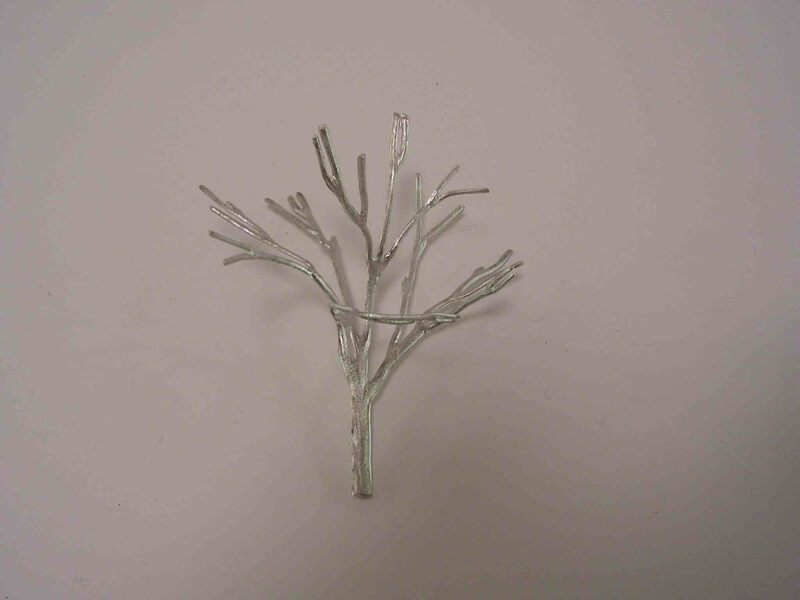 And dip the armature in the foliage until the branches have enough foliage on them.